PM Netanyahu to announce that the Ulpana neighborhood will be demolished and residents will be compensated with new homes nearby. Prime Minister Binyamin Netanyahu is expected to announce on Monday that the five disputed homes in the Ulpana neighborhood in Beit El will be demolished, in accordance with a recent Supreme Court ruling. Netanyahu will also announced that he will compensate the residents of the demolished homes with housing units within Beit El, either on state land or in a military area. A source in the Prime Minister's Office confirmed the details on Friday afternoon and noted that Netanyahu chose this route, instead of pursuing the proposed law to legalize Jewish outposts and disputed neighborhoods, because he believes the law will not pass the Supreme Court and may cause damage to Judea and Samaria (Yehuda and Shomron). The source added that Netanyahu is aware that taking the outpost regulation law off the agenda may result in many petitions being filed with the Supreme Court on behalf of many communities in the region. A source in Judea and Samaria warned on Friday that if the outpost regulation law does not pass in a Knesset vote on Wednesday, the coming months and years will bring with them many dangers for further settlement in Judea and Samaria. Netanyahu has already made it clear that he opposes the law and postponed a previously scheduled vote on it by refusing to allow his ministers to vote freely on the issue. Friday’s report is in line with a similar report last week, which said that Netanyahu and Defense Minister Ehud Barak are working out a solution for the Ulpana neighborhood, which would involve the granting of permits for new construction in Beit El, after years in which no such construction was allowed. The Ulpana neighborhood will be torn down, however. Earlier on Friday, Government Secretary Tzvi Hauser said that caravans that were to be brought to Beit El will be transferred to the Lachish region. 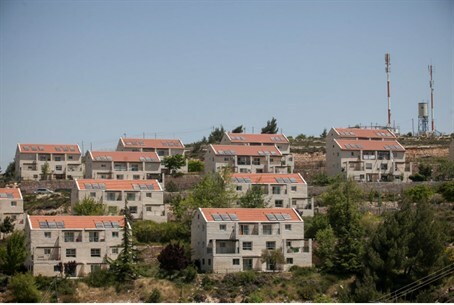 The transfer of the caravans had led to fear that the government was preparing to demolish homes in the Binyamin-area town despite promises to find a way to save the homes. Hauser’s announcement followed overnight meetings aimed at stopping preparations for demolition.